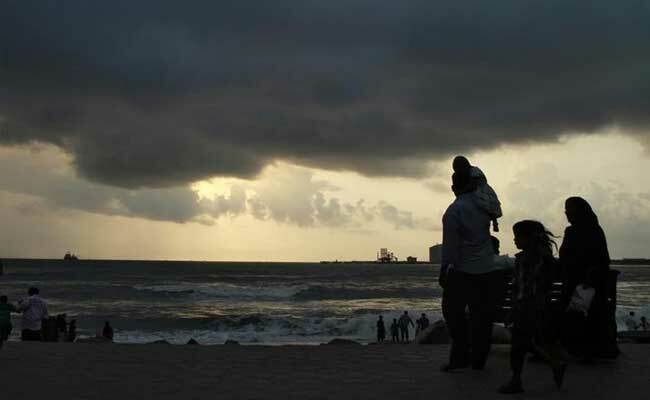 The MeT department said that rains were likely to begin in Kerala by May 30-31, marking the onset of monsoon in the country. New Delhi: At least 23 people were killed in separate incidents of lightning strike and wall collapse triggered by squall in Bihar today, even as hot weather conditions continued in many parts of the country. However, in a good news, the onset of the southwest monsoon is likely to advance due to a deep depression over the Bay of Bengal. In parts of the national capital, the mercury was below the 40-degree mark with some areas in the city witnessing rainfall. The Safdarjung observatory registered a high of 36.3 degrees Celsius while areas under Palam, Lodhi Road, Ridge and Ayanagar observatories recorded maximum temperatures of 39.7 degrees Celsius, 35 degrees Celsius, 35.8 degrees Celsius and 37.9 degrees Celsius respectively. Rainfall recorded in the city during the last 24 hours till 8:30 am was 11.9 mm. In Bihar, at least 23 people, including eight women, were killed in separate lightning and rain-related incidents. Eighteen persons were killed after lightning struck them across eight districts, while five persons were killed in separate incidents of wall collapse during a storm that blew at a speed of 50-70 km per hour in different panchayat areas of the West Champaran district of the state. Of the 18 people killed in incidents of lightning strike in eight districts, five persons were killed in East Champaran, four in Jamui, one in West Champaran, two each in Munger, Bhagalpur and Madhepura and one each in Vaishali and Samastipur districts, the state's Disaster Management Department Additional Secretary Anirudh Kumar said. Meanwhile, sunstroke toll climbed to 12 in Odisha even as rains triggered by the depression over the Bay of Bengal and a nor'wester in some areas brought respite from scorching heat. Two more deaths were reported in Sambalpur and Bargarh district since yesterday. With this, four heat-related deaths have been reported from Sambalpur, while three deaths each took place in Angul and Bargarh districts and one each in Balangir and Bhadrak, the office of the Special Relief Commissioner (SRC) said. The mercury breached the 40-degree mark in only four places in the state. Angul was the hottest place, recording a maximum of 42.1 degrees Celsius while Hirakud registered a high of 40.8 degrees Celsius. Heatwave continued unbated in Haryana and Punjab with Hisar being the hottest place in the two states, recording a maximum of 43.2 degrees Celsius. In Punjab, Amritsar recorded a high of 39.3 degrees Celsius, while in Ludhiana and Patiala the maximum temperatures were 38.5 degrees Celsius and 37.6 degrees Celsius respectively. Rajasthan too reeled under hot weather conditions with the mercury settling above the 43-degree mark in most parts of the state. However, maximum temperatures saw a dip by one to two degrees in comparison to yesterday. Churu was the hottest place in the state, with a maximum of 47 degrees Celsius, followed by 45.6 degrees Celsius in Pilani and 44.6 degrees Celsius in Sriganganagar. The mercury in Bikaner and Kota settled at 44.5 degrees Celsius and 44.4 degrees Celsius respectively. Heatwave conditions also prevailed at a few places in Madhya Pradesh and Vidarbha region. In Himachal Pradesh, hailstorm and rain lashed Shimla and its surrounding areas affecting normal life. Una was hottest place in the state with a maximum temperature of 39.2 degrees Celsius, followed by Nahan at 35.5 degrees Celsius, Sundernagar at 33.7 degrees Celsius, Bhuntar 33.6 degrees Celsius and Dharamsala 32.4 degrees Celsius. Rainfall also occurred in parts of Kerala, Lakshadweep, Karnataka, Tamil Nadu, coastal Andhra Pradesh and Telangana.